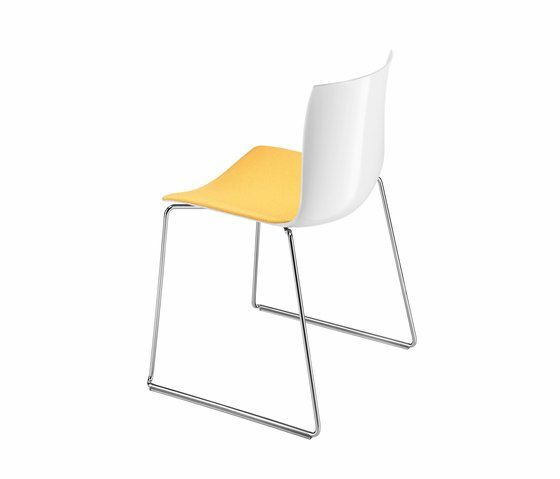 Stackable chair with sled base in chromed steel. Reinforced polypropylene shell available in several colours and fitted with upholstered cushion applied to the seat surface. Optional steel armrests, also with polypropylene or upholstered pads, are available upon request.